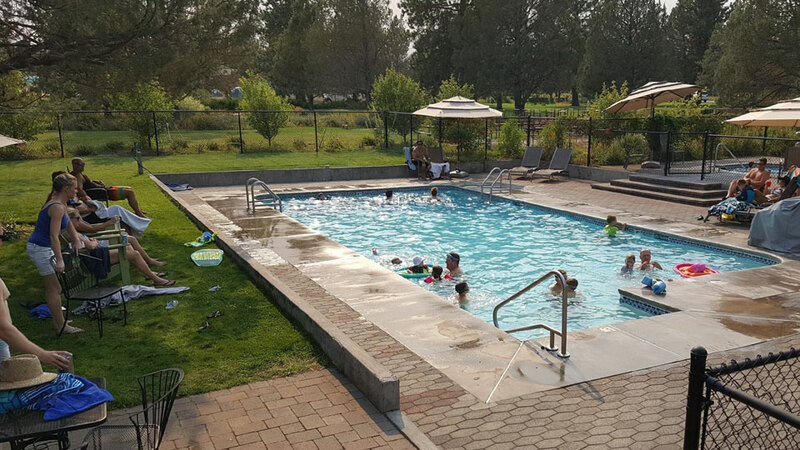 Named Central Oregon’s #1 Good Sam Park, Bend/Sisters Garden RV Court is located eighteen miles west of Bend and four miles east of Sisters, at the base of the eastern foothills of the Three Sisters in the Cascade mountain range. That means you’re just a stone’s throw from a multitude of fabulous activities; scenic drives, hikes, fly fishing, shopping, golf, water sports, festivals, rock climbing, horseback riding and so much more. Hook up your RV or reserve one of the resort’s camping cabins and fully furnished cottages, all situated in a quiet, garden environment featuring beautiful trees and wildflowers. Park amenities include an on-site fully stocked fishing pond of rainbow trout, gardens, nature trails, picnic areas, playground, miniature golf, and a heated pool and spa. Cable TV, RV supplies, dog run areas, wi-fi, fire rings, laundry room, full-service level paved sites, propane station, luxury bathhouses, BBQ area, valet service, group catering, garbage pick-up and meeting areas are among a list of other amenities. Come enjoy Central Oregon’s four seasons at Bend/Sisters Garden RV Court.